Tremendous opportunity for a visionary who can help us set the course for our future. 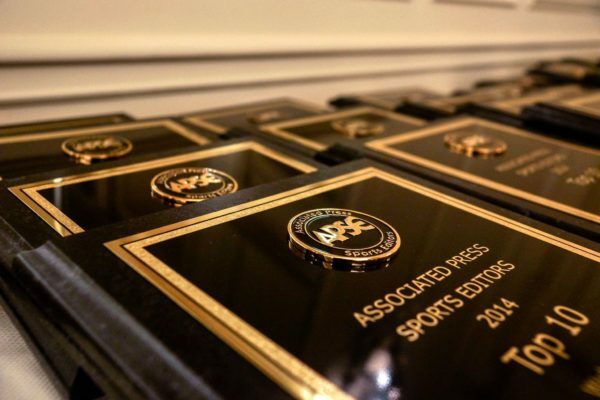 Central New York Newspapers, publisher of the Press & Sun-Bulletin in Binghamton, Star-Gazette in Elmira and the Ithaca Journal, is looking for a Regional Sports Editor to direct all aspects of our three sports departments. This is a new — and critical — position for us. The successful candidate will have the experience and management skills to bring our sports departments together as one, providing strong leadership in our Web-first environment. The Web absolutely comes first here, and you will be expected to embrace that culture and build on our successes. You must be an innovator, a relentless planner and a great story editor who values strong enterprise and watchdog reporting. If you have a visual background, that’s a huge plus. We have an awful lot to cover here, including the Calder Cup champion Binghamton Senators (AHL), the New York Mets’ double-A affiliate, Binghamton University’s Division I basketball team, Ithaca College’s high-level D-3 football team, plus Cornell football, hockey, basketball and lacrosse. And did we mention dozens of high school teams in all sports? You will be challenged, but you can make your mark. The preferred candidate will have at least 7 years of newspaper experience — at least 3 in management — in a Web-first culture. Demonstrated understanding of social media tools is essential. No beginners, please. Please email your resume, letter of interest and work samples or web links to Al Vieira, Assistant Managing Editor, avieira@gannett.com. No phone calls, please. Central New York Newspapers is an equal opportunity employer.